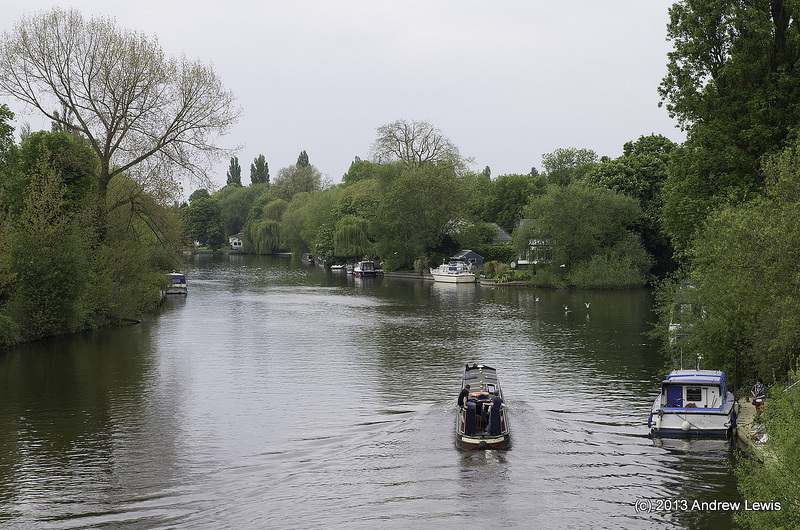 This section of the Thames Path walk was undertaken on a slightly cloudy May weekend. 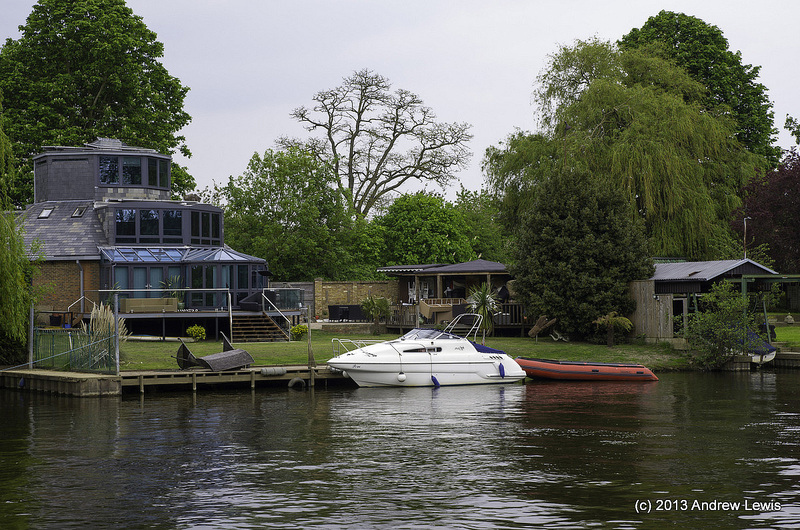 The walk covers the section of the Thames from Staines to Windsor Most of the walk is by the riverside though at around Datchet, the path is not available and a section has to be walked along the road. 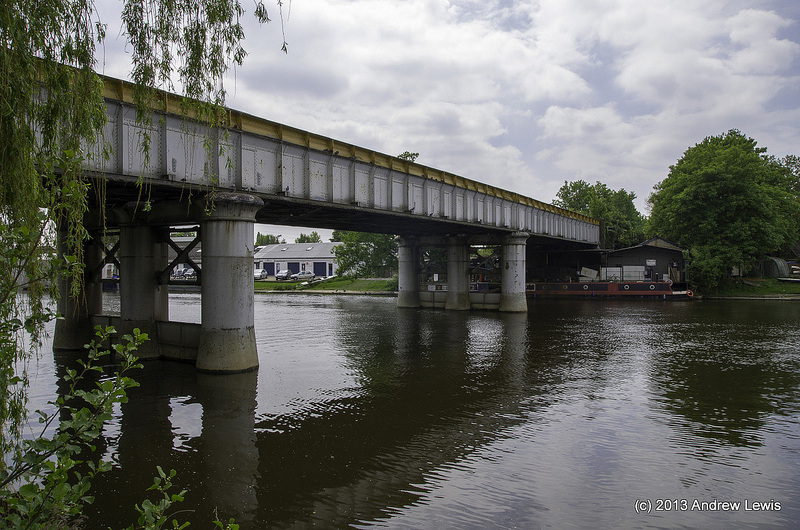 The walk starts by leaving Staines station and heading back to the riverside near the railway bridge. 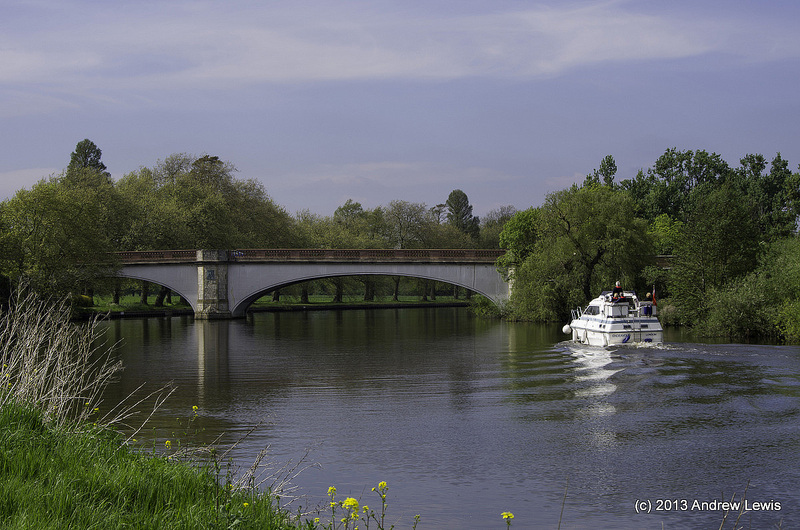 For a short while, the walk uses the eastern bank of the river where there are some new walkways and art installations. 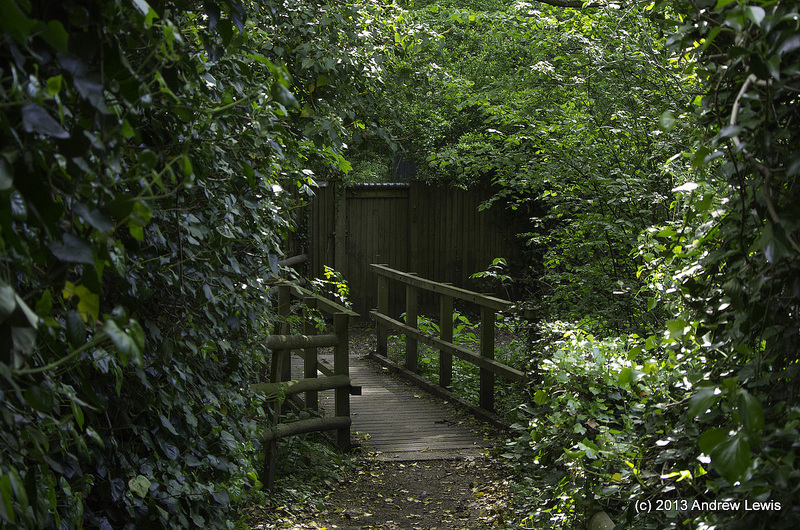 At Staines bridge, the walk crosses over and descends into a slightly overgrown path. On this particular day, part of a tree had fallen across the path and everyone was having to climb over it to use the footpath. 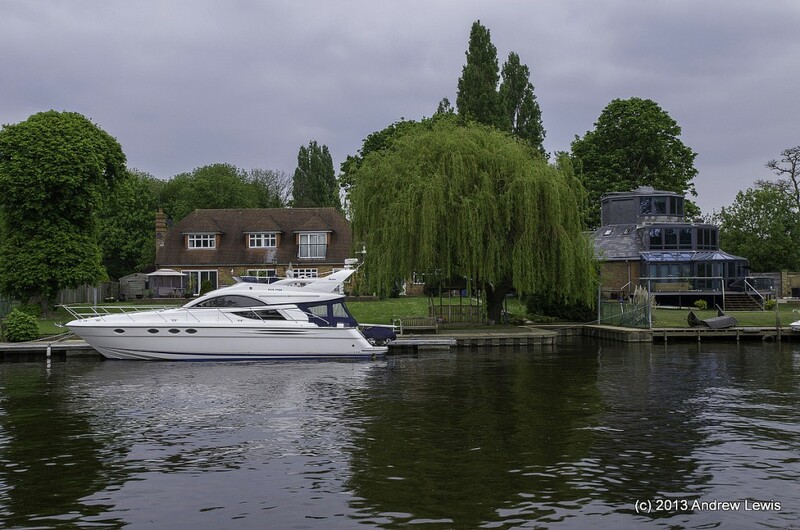 North of Staines, the river band without the footpath is where lots of nice houses have water front ends to their gardens, often with the attendant speed boat or cruiser. The path in this section of the walk is quite green with plenty of trees and shrubs. The opposite bank of the river has private properties but the pathway itself is on the rear of some small industrial units and the gas and water works at Egham. Pretty soon the M25 motorway makes its presence known by the roar of traffic. 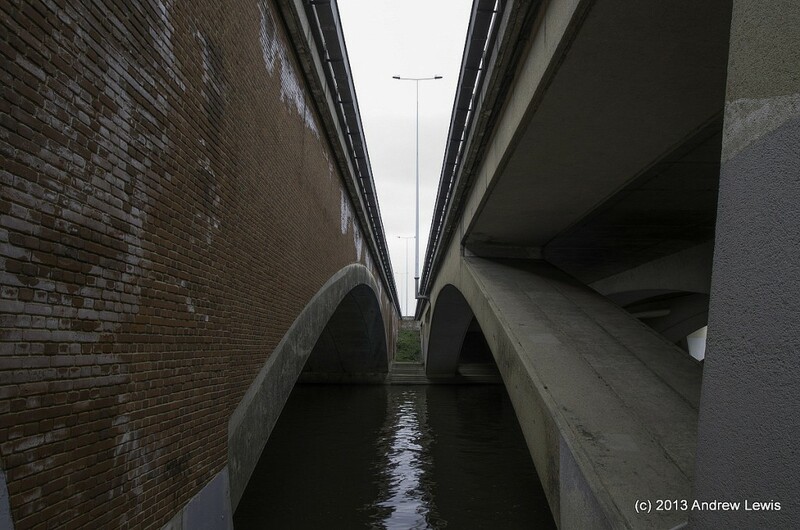 The river passes underneath the motorway which is supported on two large bridges, of different construction types – the first one for the anti-clockwise traffic is all concrete whereas the bridge supporting the other 3 lanes is brick built. Immediately after the motorway comes Bell Weir Lock. 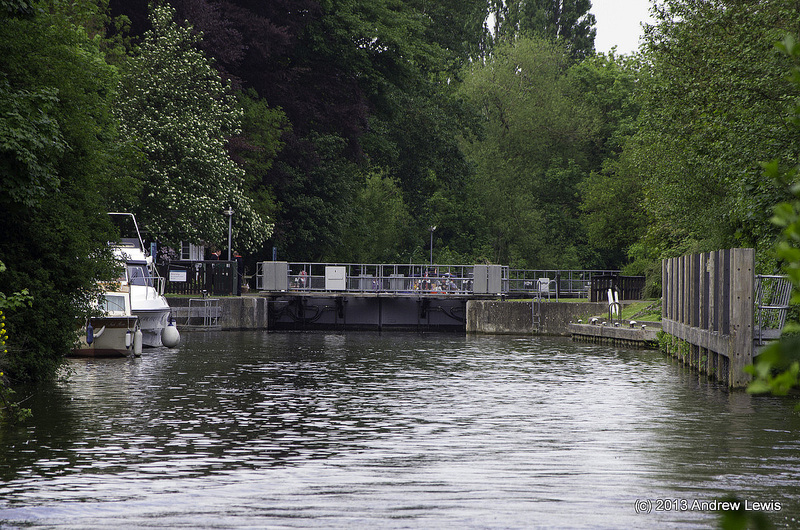 After the lock, Runnymede Pleasure Ground is next up, and on this day there was a small paddle steamer offering rides along the river. 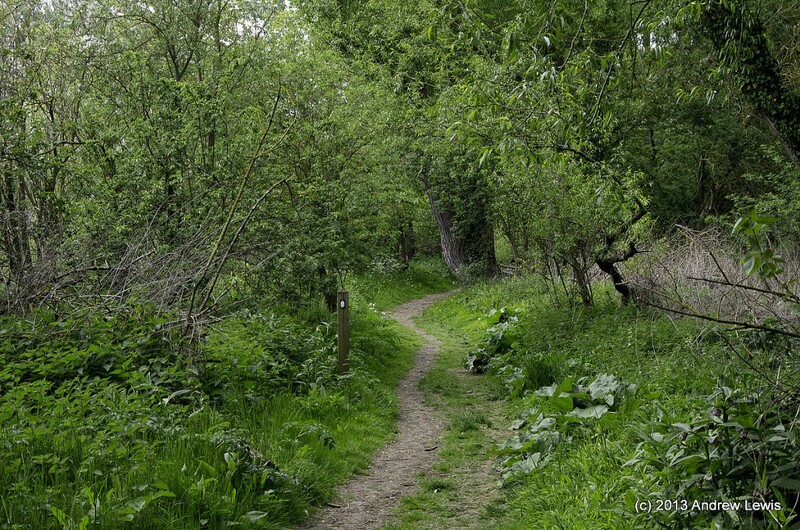 The A308 runs by the side of the path for a while and the path itself diverts slightly away from the river as there are small copses of trees right near the water’s edge. To the south west, Cooper’s Hill Coppice rears up above the generally flat landscape and atop the hill is the Air Forces Monument. 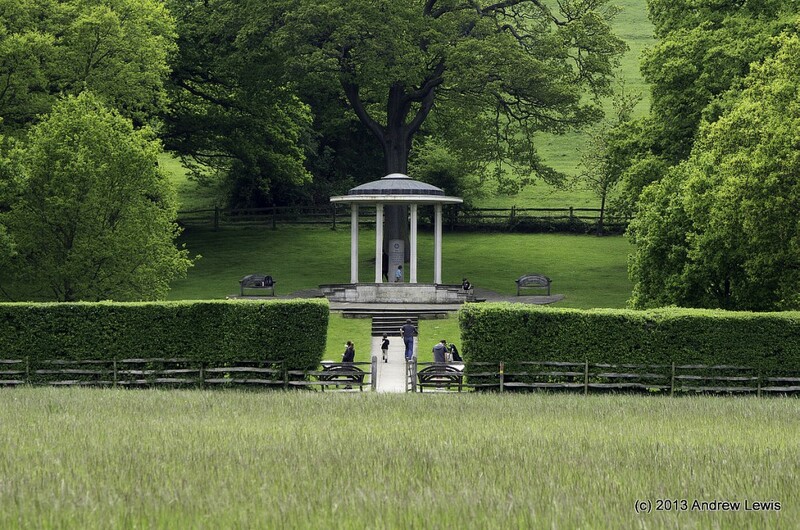 Slightly further along from the monument is a path that leads across the fields to the Magna Carta Monument. 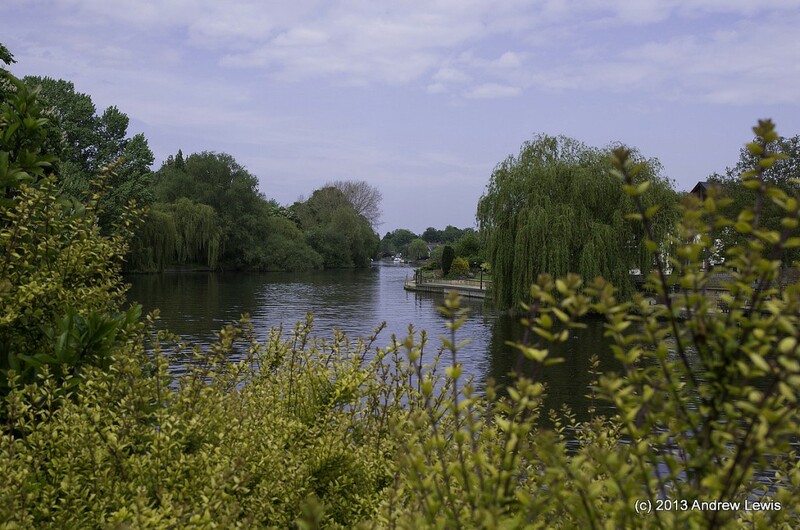 A little further along and the river flows through Old Windsor. The river widens a little here. 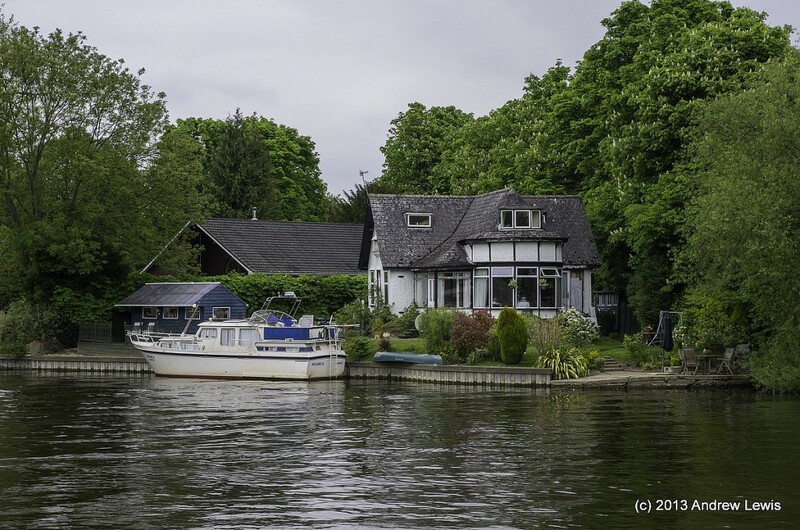 The footpath remains on the south/western side of the river and crosses over a few small foot bridges which cross over the various small inlets and islands amongst the small moorings. 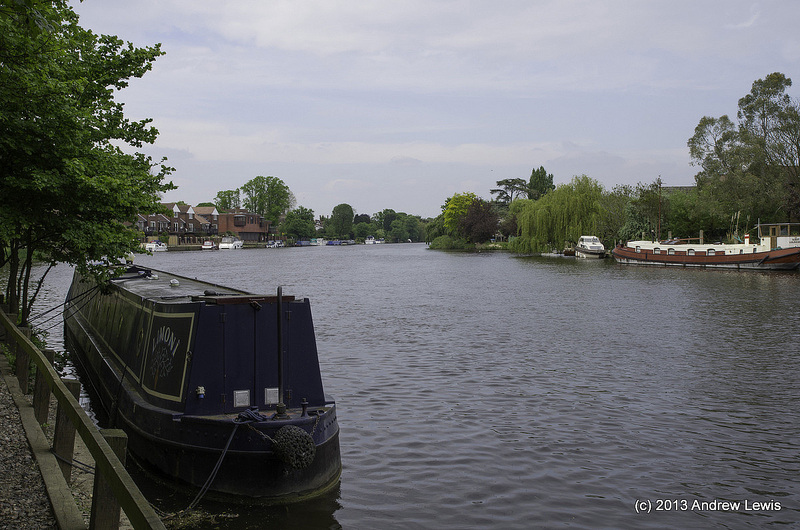 The navigable part of the river now forks left, and heads to the Old Windsor Lock, whilst the other fork branches right and together they separate Ham Land Island from the surroundings. The right fork passes around the island to the weir and a third smaller creek takes the smaller runoff water from the weir near to the lock. 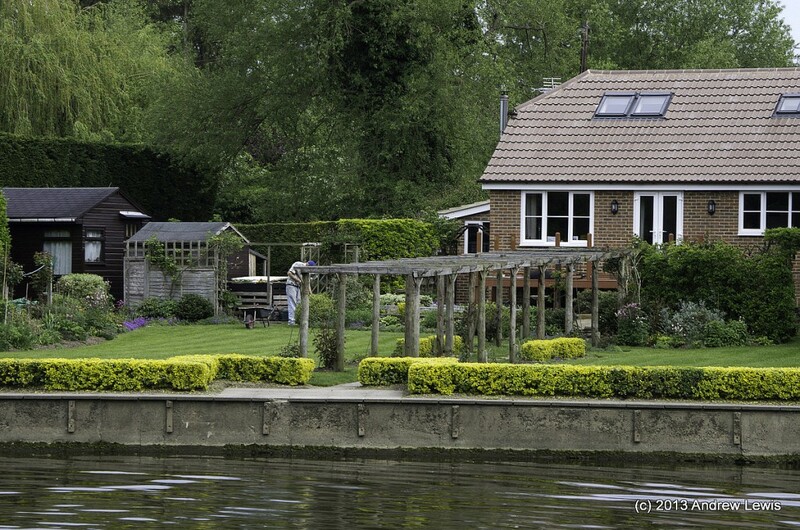 The houses on Ham Lane look wonderful and each one has its own small landing area. 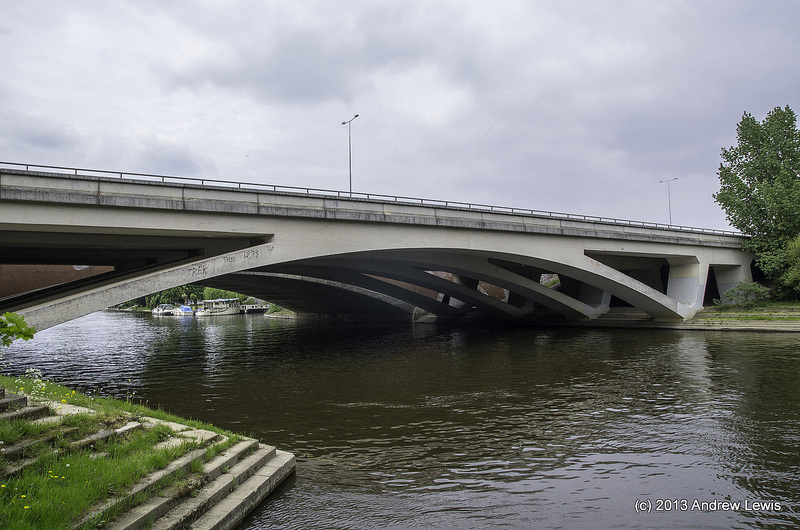 Ham Lane bridge is next but we stay on the same side of the river and avoid crossing the bridge. The foot path narrows a little and swaps from being tarmac to being gravel. 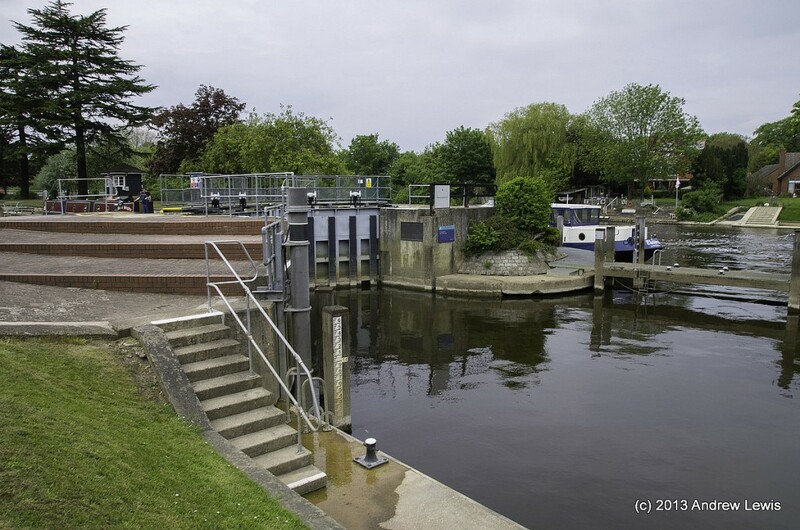 We pass by the weir that separates Ham Lane Island and continue around a long bend until Albert Bridge comes into view. 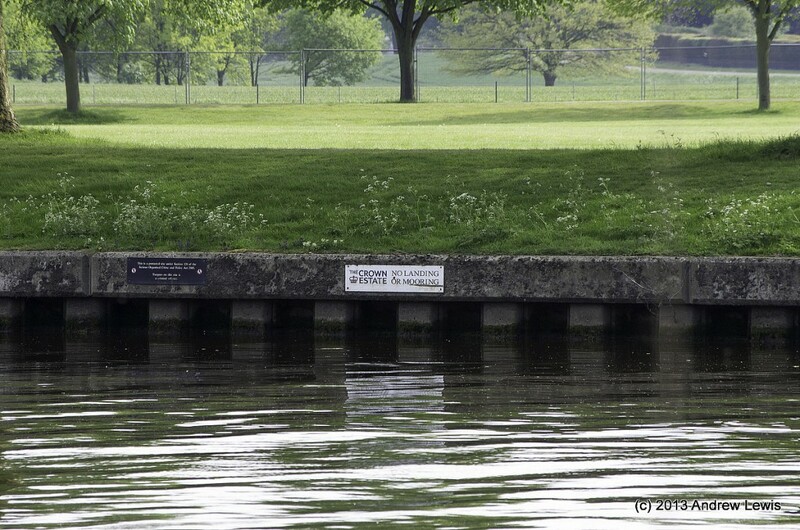 Now the walk becomes less interesting for a while as, immediately on the other side of the bridge, the western riverbank marks the boundary of the Crown Estate of Windsor Great Park and access is not allowed. 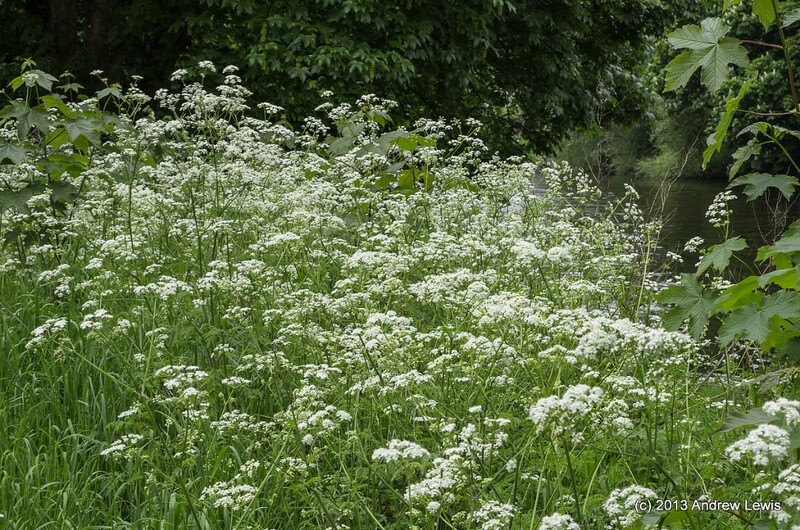 Furthermore, although there is a short path which can be walked on the eastern bank, it is difficult to get to and then transforms into a path around a farmer’s field. Instead, having failed to find the entry point to the path (I think that when you reach Albert bridge, you cross the river but stay on the same side of the road, before descending and then crossing underneath the bridge on the opposite bank. 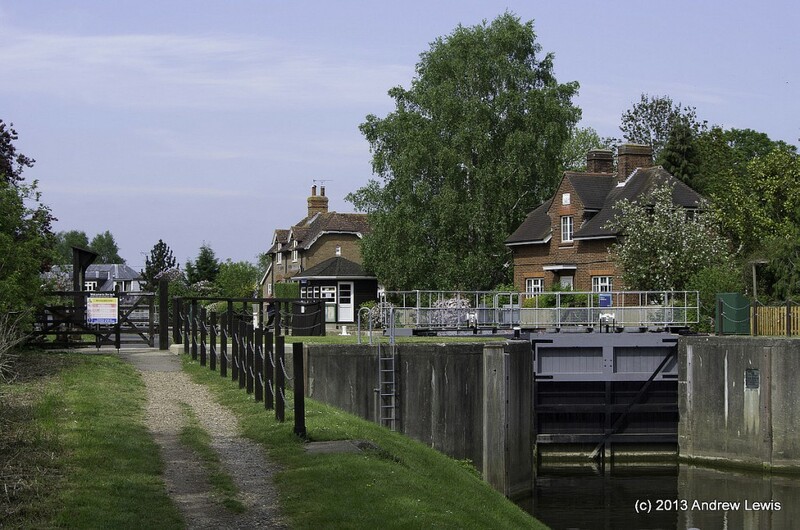 In any case, the walk eventually has to continue along the B3021 into Datchet. 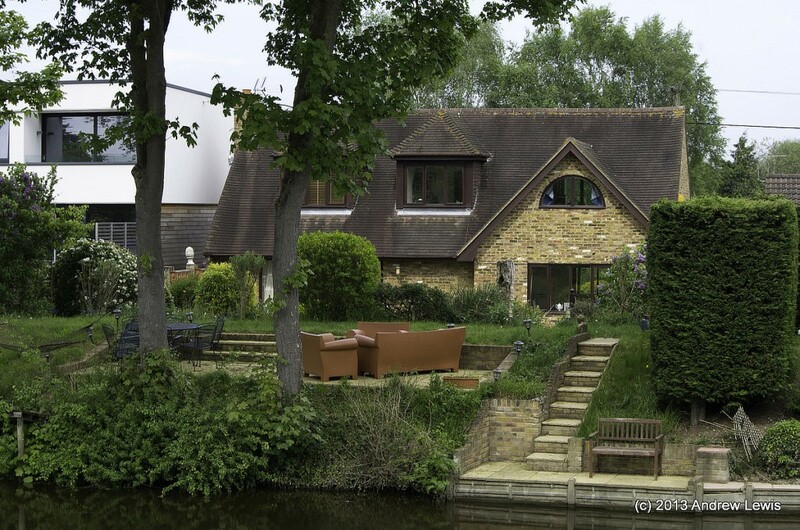 Some fantastic properties enjoy a secluded waterside position and glimpses are offered through the fences, railings and hedges. Almost level with Datchet golf club, a sign on the north eastern footpath on the B470 as it leaves Datchet points across the road at a secluded opening in the greenery – this is the return of the footpath proper. 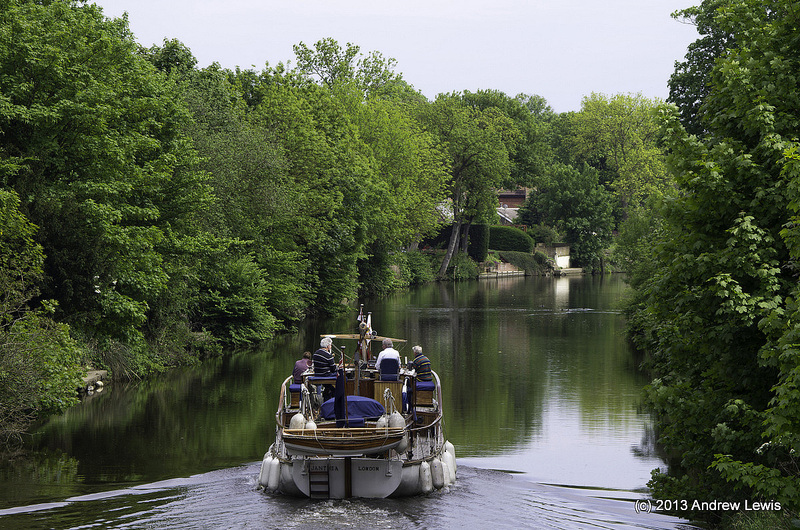 The path now returns to the river bank and offers views across the river to the Park and to the Castle in the distance. 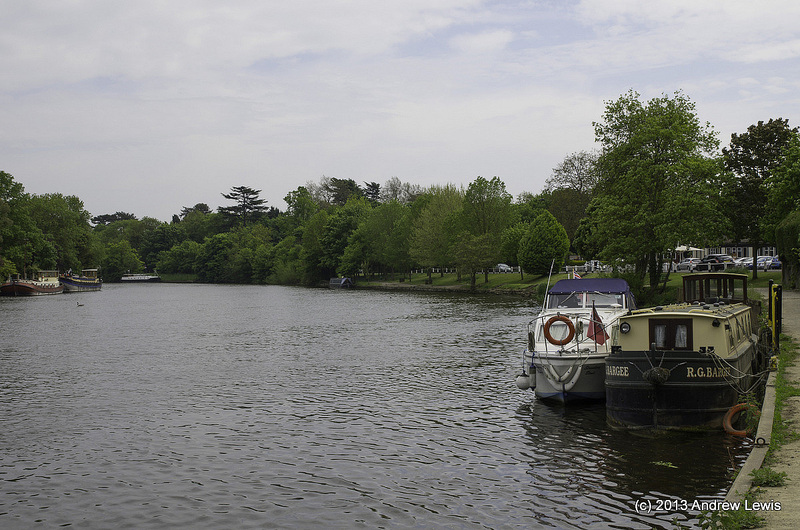 The opposite riverbank is on the edge of Windsor Great Park. 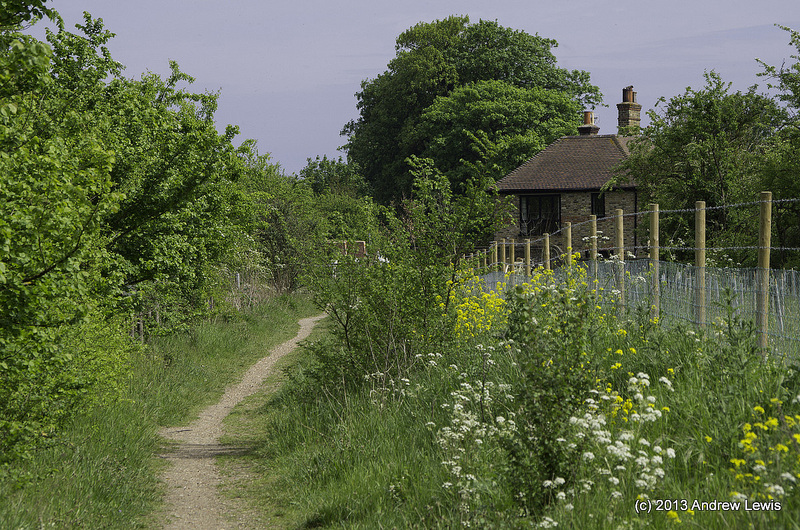 Although this is still the formal Thames Path, it does seem wonderfully natural as it snakes around some old trees. 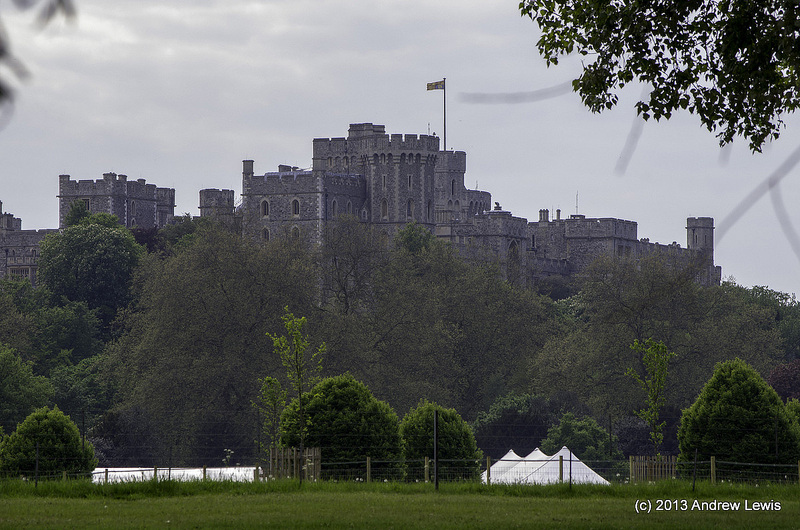 Every now and then, Windsor Castle rises into view across the water. By this point in the afternoon, the sun was side on and the slight haze prevented ideal photo conditions. Windsor Castle comes into view. HRH is in residence as the flag is flying. 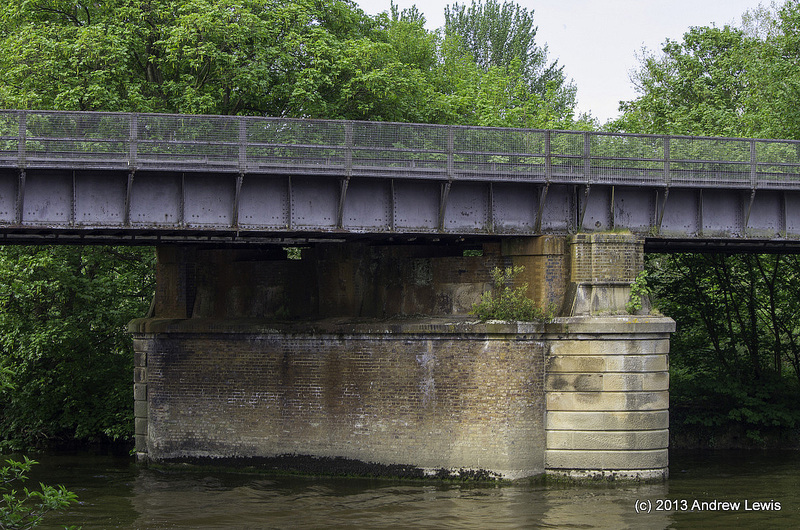 Crossing the bridge on King Edward VII Avenue and descending the grassy embankment allows access to the path as it runs along the long bend in the river to the north of Home Park. The arches of the bridge are blocked off by railings and rather stern security notices as this would be a possible entry into the private estate at Windsor. 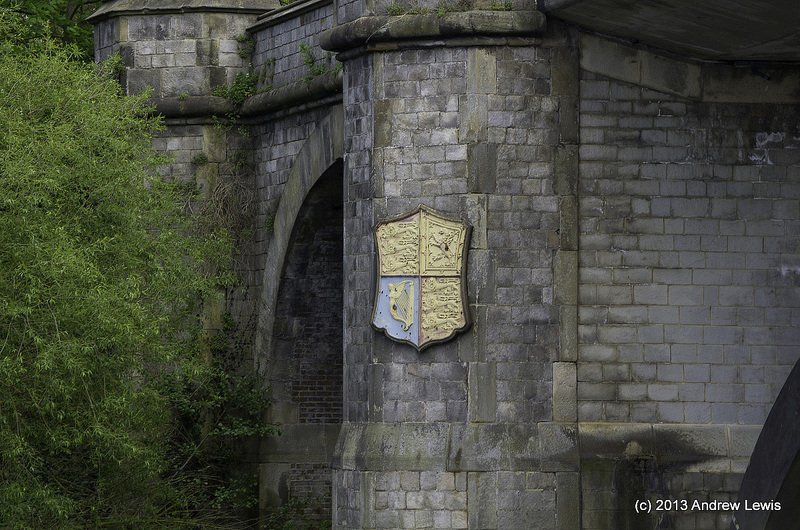 A reminder of who might be looking out comes in the form of the royal standard on the bridge. The foot path curves away underneath the railway bridge. 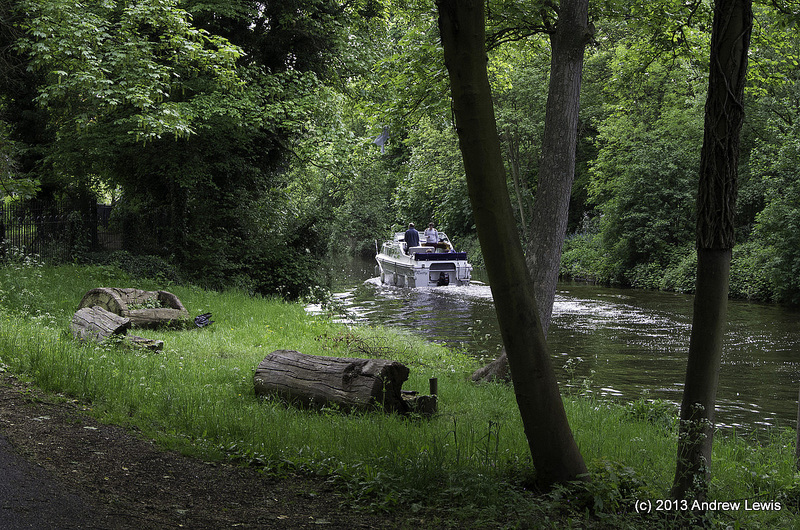 As the foot path approaches Romney Lock, it deviates away from the river for a while. 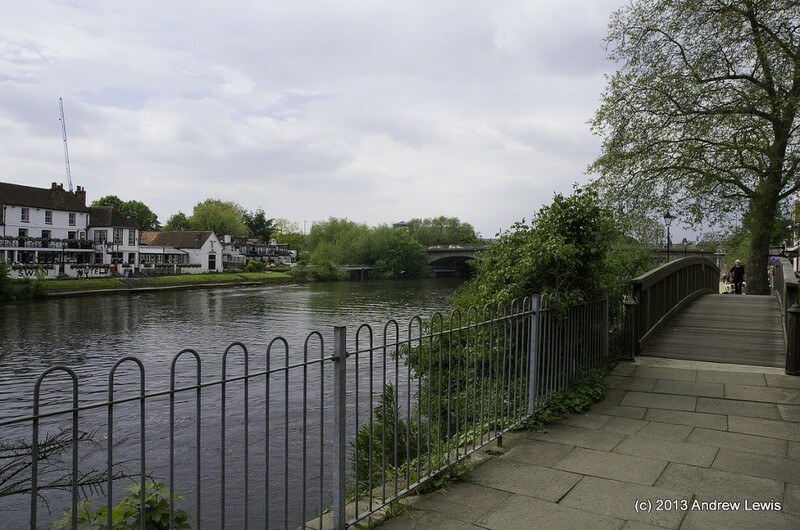 Eventually the path regains the riverside in a railed section sandwiched between the river and the car park for the rail station. 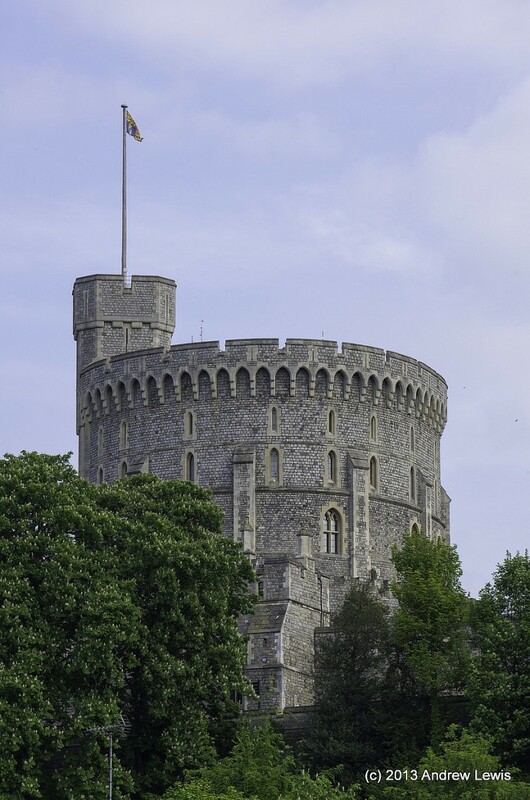 Windsor Castle. HRH in residence. 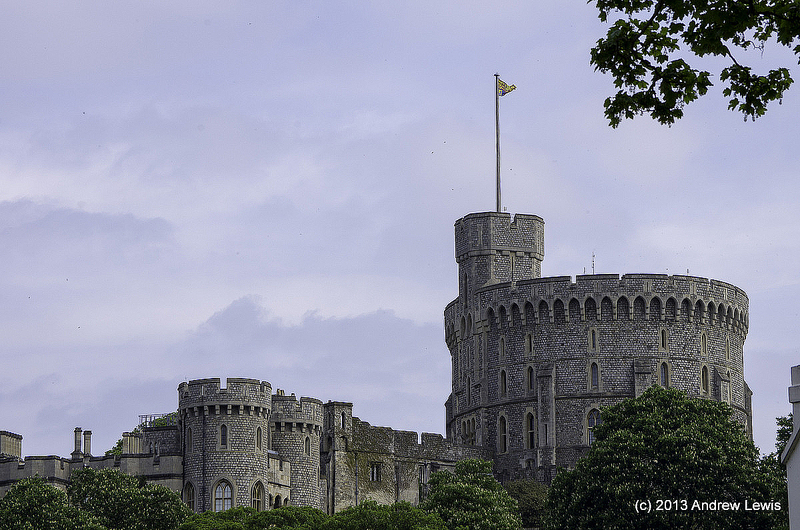 Finally, we enter Windsor itself with the castle towering above the town. 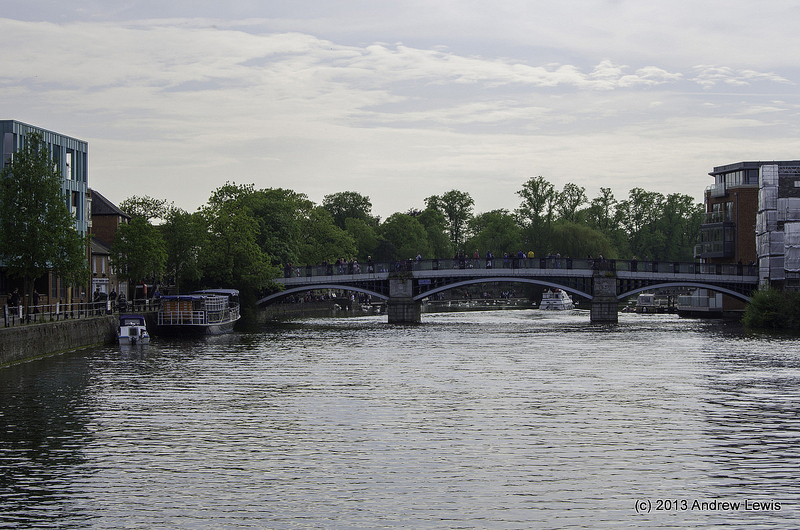 The final bridge of the walk is the pedestrian bridge crossing the river in the centre of Windsor. 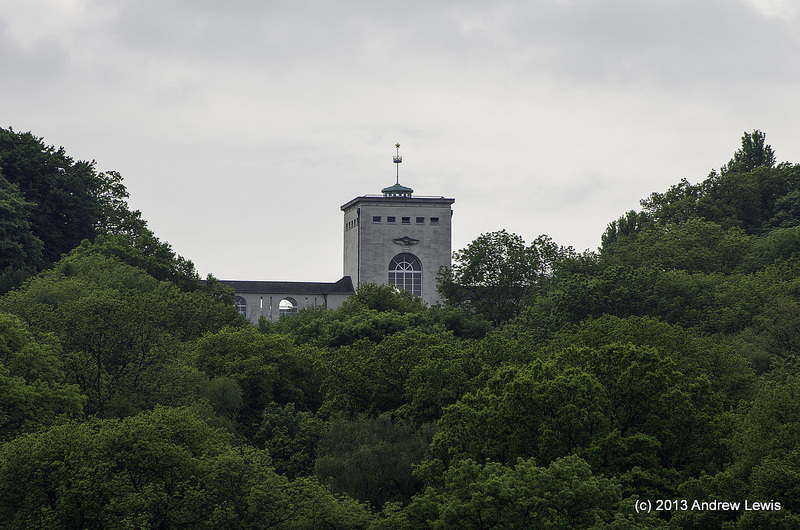 With a quick wave at the Castle, the walk is concluded and it’s time to check out the station for the next train home. The planning for this route in Google maps suggested that it would be 8.2 miles long, but the detailed GPS log tells a slightly longer story.